Gulf Shores Beach is going to be hosting Khalid. ConcertFix provides a wide variety of tickets that start at $202.00 for the SHUTTLE PASS section and range up to the most expensive at $7651.00 for the SUPER VIP section. The show will be happening on May 17, 2019 and is the only Khalid concert scheduled at Gulf Shores Beach as of today. We only have 239 tickets left in stock, so get them as soon as you can before they are history. Purchased tickets come with a 100% moneyback guarantee so you know your order is safe. Give us a shout at 855-428-3860 if you have any questions about this exciting event in Gulf Shores on May 17. 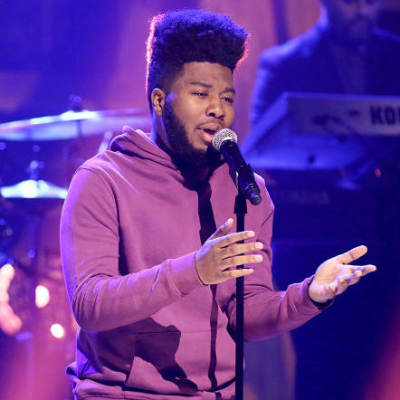 Khalid will be visiting Gulf Shores Beach for a huge concert that you won't want to miss! Tickets are available at healthy prices here at Concert Fix where it's our goal to get you to the show even if it's sold out through the box office. We want you to get up close, which is why we are a top seller for first row and premium seats. If you need them last-minute, check out eTickets for the fastest delivery so you simply have them sent to your email. All transactions are made through our safe and secure checkout and covered with a 100 percent money-back guarantee. As soon as is the date for the Khalid concert in Gulf Shores? Khalid only has one concert planned on May 17 at Gulf Shores Beach in Gulf Shores. Which other artists are having a performance with Khalid at the event in Gulf Shores at Gulf Shores Beach on May 17? Presently, Khalid is expected to have a concert with Jimmy Eat World, Diplo, Buddy, Vampire Weekend, Big Gigantic, Hangout Music Festival, Walk The Moon, The Lumineers, Griz, New Kingston, Sir Sly, The 1975, Jungle, Hozier, Kygo, Travis Scott, Hirie, Gorgon City, Taylor Bennett, Judah and The Lion, The Interrupters, Bebe Rexha, Moon Boots, Bryce Vine, Alison Wonderland, SNBRN, Lauren Daigle, Hippie Sabotage, Dr. Fresch, Ravyn Lenae, Sofi Tukker, RDGLDGRN, Mura Masa, Jonas Blue, Bishop Briggs, MadeinTYO, Cardi B, Spencer Ludwig, A Boogie Wit Da Hoodie, Quinn XCII, Loud Luxury, The Him, Arizona - Band, Elohim, Gang of Youths, Two Friends, Two Feet, Jesse Royal, lovelytheband, Pale Waves, Superorganism, Justin Jay, Shame, Slenderbodies, Ella Mai, Morgxn, The Red Clay Strays, Camelphat, Bazzi, Flora Cash, Jade Bird, King Princess, Castlecomer, The Band Camino, Elley Duhe, Shaed, Grandson, Easy Life and Hangout Music Festival in Gulf Shores at Gulf Shores Beach.